We’re not huge fans of suburban living here at the Fish: something to do with the endless parades of naff housing, behoodied lowlife at the suburban shops, sullen teenage mothers pushing prams full of squealing brats, the sound of Masports mowing like a thousand angry crickets, and lastly but not least the lack of decent suburban facilities. If you want something more elaborate than an out of date carton of milk, or a 6 pack of cans of bourbon and coke: you’re pretty much stiff out of luck. NaeNae gets trotted out at regular intervals as an example of Mr Plishke getting his suburban centre groove on in the Hutt: when the truth is that it is a woefully neglected retail disaster zone with zero interest for anything other than the local tagging crews. No wonder that the locals get in their big-bore Subarus and travel into central Welly, to entertain us inner city livers with their musical accompaniment of exhaust tones and melodious wheelspins: while we attempt to entertain our livers with genial concoctions of the red grape of merlot. 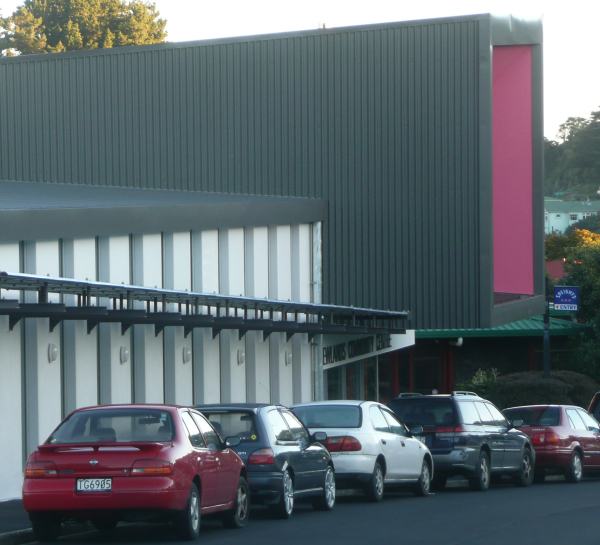 Newlands suburban shopping centre is even worse than NaeNae by many standards: tantalising close to Wellington, the shopping centre (shown above) is worse than virtually anywhere else in the region: about 6 shops (Fush and Chups, Dairy, Emergency condom supplies, and off-license), some more closed down, with a large tarmac spin-out pad parking lot, and an architectural value quotient of precisely zero. I’m sure that there are many happy Newlanites / Newlandiers that love it precisely for its unpretensionness: however to me it is hell on earth (but with a nice view from some parts). However: all that has recently changed. Although there is really not much hope for the Suburban Centre itself, other than to bulldoze it into well-deserved oblivion, just around a corner from the shops is a brand new building by CCM architects – brought to our attention by Ben Pujji – who describes himself as a ‘big fan and follower’ of the Eye of the Fish. We’re not sure if he lives in Newlands or works for CCM – but regardless, thanks for bringing it to our attention. 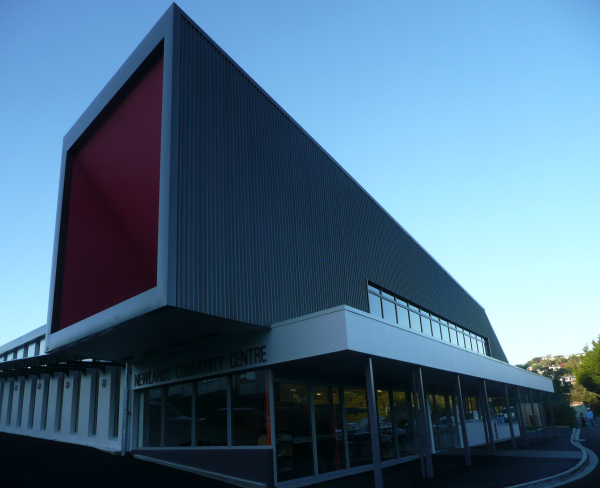 It stands out in Newlands like a beacon of hope, not the least because of the giant ‘shocking pink’ inner walls of the upper floor, but also because it appears as though someone has taken care and attention to details – not something that has ever been leveled at this suburban centre before. It is, to coin a vastly over-worked phrase, an almost iconic structure – in fact, I’m sure our Mayor Kerry would have loved to use that word when she opened the centre a few short months ago. The monstrously pinked-up upper floor and its massively over-sized labial papal verandah are a curious fixture, rearing up like a platform from which to declare matters of civic importance to the good burghers of Newlands: but it sadly faces away from the not-so-good burger shops and instead addresses what I can only presume to be pensioner housing. This building is the right way round for the street, but it’s such a minor street that it really is the wrong way round for the greater good of Newlands (if there is such a thing). The pinkness that is the balcony draws you in to see what is on the balcony – it shouts out its self-importance in a feat of architectural naughtiness – while the truth seems to be that there is nothing there to shout at: no-one there to shout to. And while I love it as a massive gesture, a shout-out to the locals and a stake in the ground for the locals to react to, I hope there is more going on behind the scenes. And no, before you ask: I can’t read the labels either. The plans are from the Arch Daily website, where CCM have posted a lot of information, including the individual architects involved: well done to Richard Almand, Guy Cleverley, Dongsei Kim, and Thanh Ngyuen. So, overall, it’s a damn good thing to have – pumping life into a somewhat moribund community shopping centre, and giving room for a number of worthy neighbourhood activities. It’s well-built and rather rugged – although there seems to be no logical purpose to the massive verandah (who do you wave to from the verandah? There is nowhere for huge crowds of adoring well-wishers to congregate outside, if that was the purpose). There is an anchor from the Wahine bizarrely stranded outside next to a lone cabbage tree – my knowledge of outer residential Wellington is pretty shaky but I’m reasonably certain that the ship didn’t wash up near here. My only real criticism: why only a half-court? It always seems such a disappointment to me when landscape designers only put in one hoop – thereby always stopping the chance of an actual game of ball. And the picnic tables are asphalted into place, awash in a sea of un-picnic-like black tar, and thereby unable to be moved to gain a full court. Is this some anti-competitive thing? Seems to me that it would stifle any real ability at b-ball to be unleashed. But apart from that, it has to be said: Newlands has at last taken a step towards being a place to be: at last it has a chance to be a New Land. I grew up in Newlands, and it certainly suffered from 90s blight, basically as the development of housing stopped, the 70s/80s kids finished school and moved away. 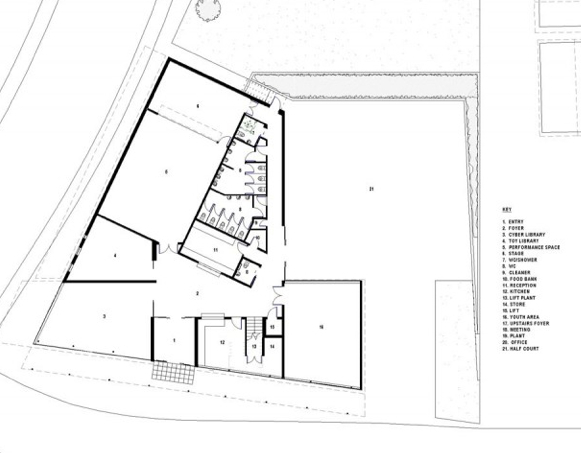 However the community centre, the redevelopment of the council flats across the way, and this snippet, indicate that the tide may be swinging back. “Mr McNeil said the purchase was part of a massive investment programme by the supermarket co-operative. The suburb is reasonably close to town, and has been recently expanding with continuing residential areas being opened up. I suspect the reason for only a half court, is that there are plenty of other courts reasonably close by fs you want a full game, ( at the the local intermediate,college, and 2 primary schools.) additionally there is a skate park within 5 mins walk. You also missed The medical centre, the local pub and the Hindu temple in your dissing of Mcmillan court. That pink thing, it’s like the opposite of a phallic symbol. I’d disagree that Newlands is somewhat moribund – I had previously thought so until I moved there. True, there’s not much going on on the outside, but there’s a pretty good sense of community. As greenwelly notes above, the suburb stagnated somewhat, since people moved in en masse in the 60s and 70s, then stayed put – leaving a demographic bump in the school enrolments that wasn’t continued. However, as that previous generation hits retirement age, they’re tending to move out, making housing more available for younger people. So in the demographic boilover, Newlands is on the up again. It’s a surprisingly interesting place to live, and is getting more so as people realise that it’s affordable and close to town (it’s no further out than Karori or Island Bay, and the road access is much better). I’ll happily agree that the shops are totally crap (except for the very good Indian import shop). One of the reasons I heard for this was the constant rumours of a major supermarket taking over some or all of the site, which now seems to be happening in the form of the New World. You don’t mention the mural that’s going to go outside the community centre. “Oh god,” I can hear you think, “a mural on a community centre… how groundbreaking.” Yeah but no, it’s being done by Michel Tuffery (who grew up, and still lives, in Newlands). So architecture meets art, there. I went to primary school with Michel Tuffery, glad to hear good things have come to him. As a Newlands resident for 30 years and as someone involved in this project since 1999, I thank you for your positive comments. The “balcony” is a recess for the windows in the upstairs room. This feature was to be in the shape of a large “N” but cost prohibited this. This project was a community initiative, not council nor a supermarket initiative. The community put $960,000 into the project through the two charitable trusts involved in the area. The proposed supermarket will be a New World in the front car-park and is timed for 2-3 years.. The proposed Mural. Council initiative, little if any genuine input from community. The same with the running of the centre. Half court is because the second phase is for a full sized recreation centre. Anchor, used to be outside the pub, but when the pub was sold the J’ville Charitable Trust retained ownership and donated it to the Community Centre. As to how the Trust obtained it,is another story. The closing of the New World had less to do with the demise of McMillian Court than the closing of the Post Office, Butcher and Fruit Shops. What really did in the area was the opening of Big Fresh in J’ville and the fascination, by Newlands residents, with the new. And the biggest mistake ever in Newlands was when the Council didn’t buy the land next the the Newlands Medical Centre where the Temple now sits. Again another story. 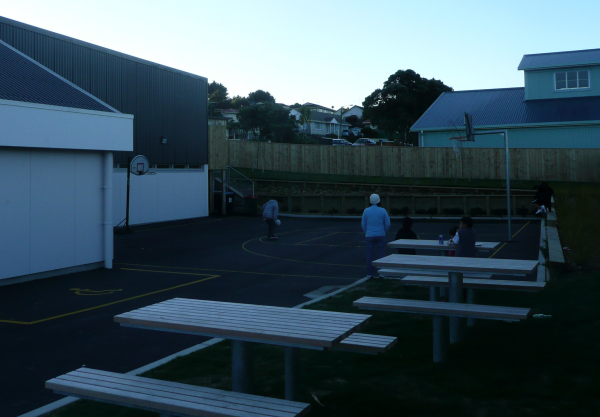 Newland,Paparangi and Woodridge is a very special community that makes things happen, from community centres to playground to sk8 parks, and much more. It happens because good people get involved and make things happen. Thank you all for your comments. I’ll add a word in to the review, just for Robyn, as she voiced what I was thinking but was too well-behaved to mention. Special thanks to Jim for his very informative commentary. It sort of makes sense that there is a reason the Centre is so decrepit – and if it is because its just awaiting a new Supermarket, then that in itself is a good thing. Although 2 years is a long time to wait…. Actually – my apologies for calling the community moribund – i really meant that the Shopping Centre is near death, not the actual community that supports it. I’ll go and change the entry to reflect that. Aaah yes, the mystical wonders of the Hindu temple. I must confess that I thought of dissing the crapness of the ‘temple’ and then thought again. No sense in inciting a religious war. But yes, it could do with some work – and probably will, with its hard working constituents all steadily contributing towards its creation. Ain’t that the truth. There’s a definite argument for planning ahead, and Newlands Suburban Shopping Centre demonstrates quite nicely what happens if you don’t. Looking forward to phase 2 ! I think you’re very rude about the suburbs. We’re not all hoodie wearing, teenage mothers with prams full of brats you know. We live in the suburbs because it is green and peaceful and isn’t full of stuck up snobs like you and your smarmy merlot swilling mates. We actually quite like it here. Hear hear. Enough of your snotty nosed parochialism. Cities aren’t6 the be-all and end-all of civilisation you know! Live goes on quite happily in the suburbs. We’re happy here. Get your own life to moan about. Wall said, Sal. Some of us live in the suburbs becasue we like to garden, there’s space for our kids to play, and we can’t afford to live in the central city. Some of Maximus’ writing is excellent, but this post reeked of yuppie-style superiority over the working classes. A pity, because I really like EOTF. Chris, Sally, Barb, glad to hear you’re fighting back. I really should offer you an apology, as my remarks were somewhat barbed and just a wee bit damning… but to be honest, the mere thought of living in the suburbs gives me the willies. I was born there: never want to go back. I’m glad you like it there – each to their own. I’d disagree with Chris’s comments about superiority over the working classes – There are working class enclaves in the city, and working class areas in the suburbs as well, but I would have thought that both city and suburbs would be bastions of the staunchly middle class. And the bit about superiority? Just remember that I write with a smile on my face… always nice to have feedback – sometimes I just need to prod you to get it. But just for you more sensitive suburban souls: Sorry. I will try to keep my vile venal verbiage down to shrubbery levels, rather than the wild forest thicket it naturally wants to be. How’s that for a suburban scriptorial simile? Seems to me that Max is equally rude to city buildings as she is to suburban buildings. Don’t hold back! Let it all out! Can I take it Maximus that you don’t have any children? I too grew out in the suburbs (Karori if you must know), and moved out as soon as I could (off to an “away” university at the age of 18). After an extended O.E in Europe, I spent over a decade living in Mt Victoria with my partner (now wife) and loved it. Close to town, close to work, close to shops, pubs, clubs, loads of sun – what’s there not to love? Then came the patter of little feet and everything changed with the realisation that despite its charms, a tiny 19th Century working-man’s cottage was not suitable to raise a growing family. True – its original inhabitants may have raised six kids in that place but they were also probably living in near-poverty with minimal comforts and short-lives. So back to the burbs we went (Ngaio) with the desire to find a part of Wellington where our children can run, climb trees, have adventures and not come across drunken loons until they have reached a more appropriate age. Essentially I want them to have the type of childhood that I recall growing up. I know that they too will reach an age where they will reject the nice safe (= boring) middle-class environment we live in and will go off to seek the grittiness of a lively inner-city urban environment (be it Wellington or London) but in the meantime I know they are safe, happy and I would like to preserve their innocence for as long as possible – and I can enjoy a sunny spring Sunday afternoon working-bee at our local playcenter with a couple of dozen similarly-minded young Mum’s & Dad’s. Currently you may retch at the thought (less than five years ago, I know I did) but don’t knock it until you have tried it. Who knows – one day you may find yourself in the same situation. Some words quoting from Prof Jock Brookfield that would seem to be relevant. discussion on the merits or otherwise of suburban living none-with-standing, critical commentary and the raising of matters for discussion, would seem to be an admirable aim in our society. John H – yes yes, I know of the argument that suburbs are best for bringing up children although I don’t really subscribe to that myself. 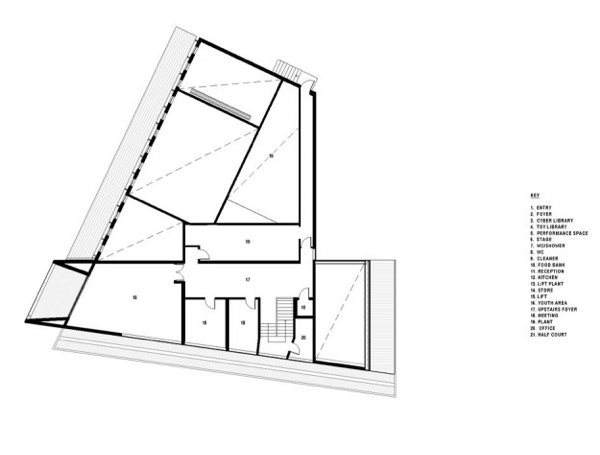 But if we’re talking of architectural quality (as we should be, given that this is an architectural blog) then could you answer me this: where in the suburbs can I find any semblance of quality? The one virtually precludes the other. 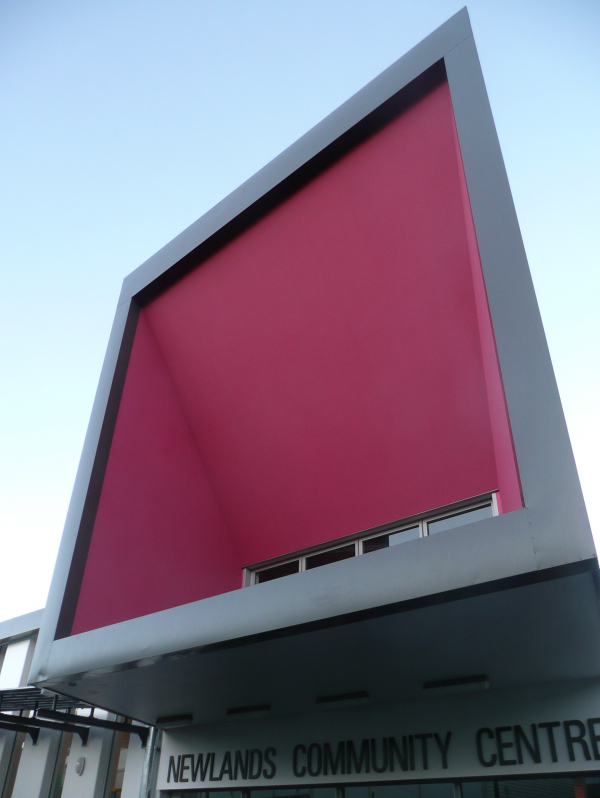 Hmmm – architectural quality in the suburbs? Probably pretty much like city apartments. There are a few bold exterior statements both ways but at the end of the day, it still comes down to practical service areas, living spaces and bedrooms. As most people don’t sit outside admiring the sculptural magnificence of the edifices in which they live, a few extra rooms are in most cases bound to win out against high architects fees and exhorbitantly priced fittings. Besides, recent experience shows that architects were pretty good at designing leakers which didn’t do the profession much good. Note to Maximus: Perhaps your undoubted seek and evaluate skills could lead to an article or two on examples of past and present good quality suburban domestic architecture. There must be some from the past and present. What ? Me? Venture forth into the suburbs again voluntarily? As Sean Connery once said, “shurely shome mishtake”. I’ll leave that to bigger Fish than me. Bit I’m interested in what you say about architects high fees and leaky houses – said with a wry, lop-sided grin and barbed point I’m sure, to see if I would take the bait. But no, happy to say, the architects I know don’t design leaky houses, and of course their fees are only fair commensurate with their talent…..
weeeelll… not everyone can afford to buy apartments in the city, so even though we wanted to buy we needed to be realistic. and after three years of cuba street we needed some respite. the city is great and all, but there are a great many poseurs obsessed with booze and shoes. PS. your site loads like a dog.